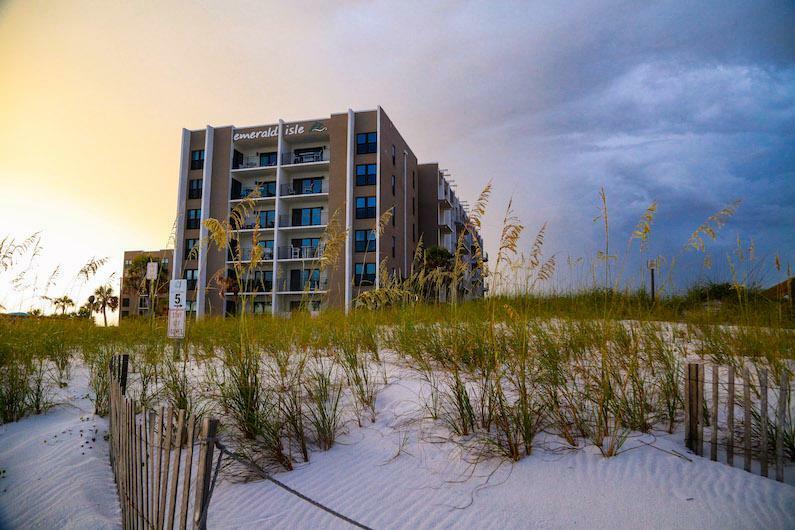 Live the island life on Okaloosa Island! Just steps to sandy white beaches on the Gulf of Mexico and minutes from restaurants, shopping, Gulfarium and fishing Piers. 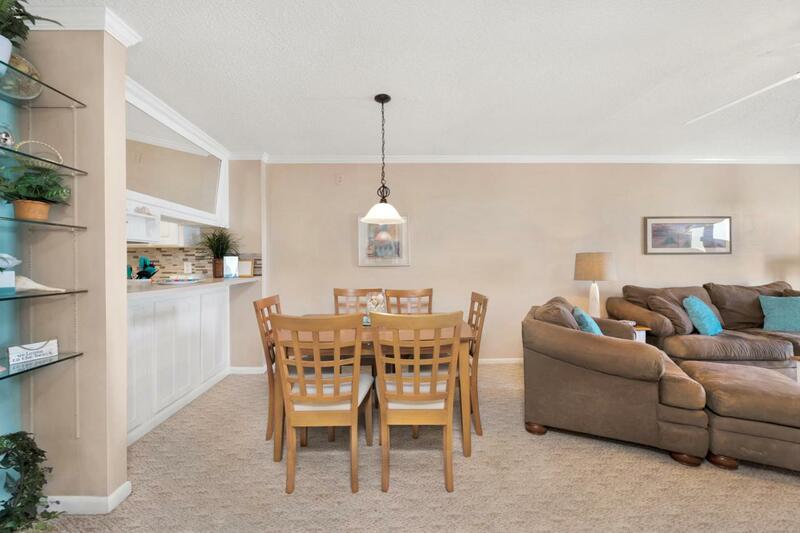 Lovely 2 BR/2BA gulf front condo is located on the top floor and features sweeping views of the gulf from the kitchen, dining, living area, and master bedroom. Sweeping views of the Intercoastal Waterway from your front door. 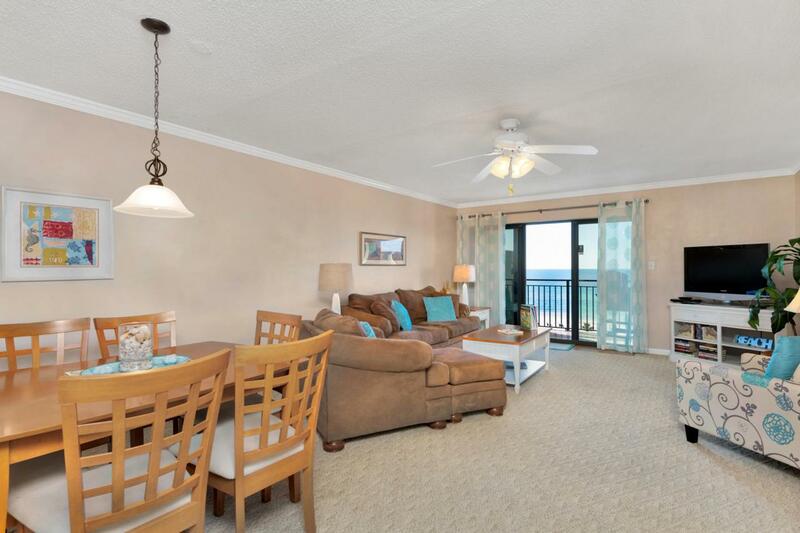 Large, gulf front balcony is accessible from both the living area and master bedroom. 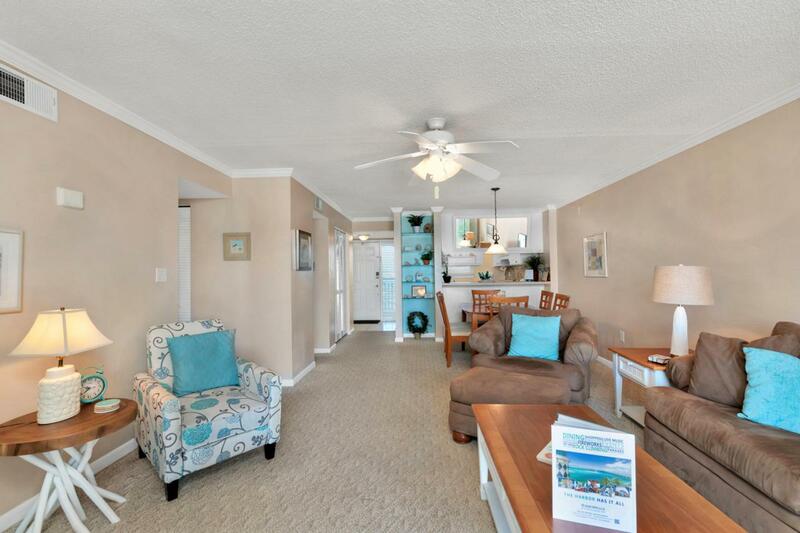 Enjoy the beach-side pool & short stroll to the pier. Unit includes assigned parking space + separate storage room, perfect for storing beach equipment. Emerald Isle amenities include gulf front picnic area with BBQ grills, a tennis court, sundeck and a community room that can be booked for private events. Pet friendlyfor owners. Association dues include ground keeping, water, trash, sewer, basic cable and internet. Buyer to verify all fees and dimensions. Assessments have been paid and upgrades to building include: replacement of all sliding glass doors and windows (hurricane windows), all railings, all tile on balconies, extensive structural repairs, all exterior coating removed and replaced. 3 new elevators, new balconies and walkways, new exterior turtle lights, new pool heater and tiles, new deck and board walk. Extensive electrical and plumbing to all buildings. New landscaping. Just announced: installation of artificial reef for free divers, snorkelers and scuba divers lies offshore from Okaloosa Island's Beach Access has begun!